When making investment decisions, most people likewise assume that the most eye-catching ink matters the most: an alarming economic forecast, an exciting Initial Public Offering, hot trading tips. But there’s a catch. This evident assumption does not hold up under evidence-based scrutiny. In reality, you have little or no control over how the most obvious news impacts your investments. 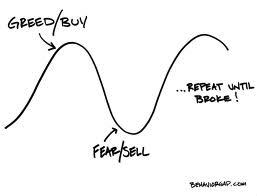 The most exciting action has already been priced into any trade you might make well before you decide to make it. 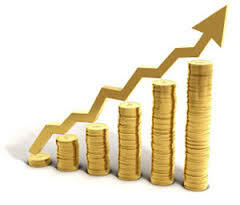 We at Fischer Investment Strategies emphasize these – and we think that you should too – because (1) they’re simple enough to apply once you know they’re there, (2) they can have a significant impact on your investment experience, and (3) we see too many investors ignoring them at their peril. To receive a return on your investment, first you must invest (and stay invested). Bottom line, you cannot expect your stash of cash to grow when it is lying fallow. It’s hard to imagine a more basic principle than that, so why do so few investors manage to embrace it? The answer is found in a sentiment you may have heard before: Investing is simple, but, it’s not easy. It’s relatively simple to accept the notion of no pain, no gain. To earn returns, you must put your assets at risk in ventures that are expected to compensate you for your faith that they will succeed … if they do. Then you must patiently await the desired success, knowing that it is expected but not guaranteed. The riskier the ventures, the less certain the outcomes, but the more you can expect to earn for enduring the uncertainty … if you do. By chasing and fleeing hot and cold markets, you’re undesirably buying high and selling low. You’re also disregarding decades of empirical evidence that informs us that one of the best ways to capture long-term market growth is to build a solid, individualized plan, and to then stick to your plan by riding out the market’s near-term ebbs and flows. 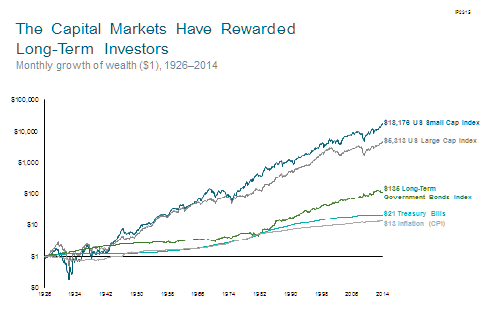 With this simple strategy, you’re trusting that the market will continue to do what it has done for many decades when viewed from a long-term perspective: It has grown. Why is it that so many investors ignore this common-sense strategy – be there and stay there – and instead cut the cord during turbulent times? To echo our aforementioned sentiment, it’s simple to understand how the market’s gains and pains are so closely related. But it’s never easy to endure the pain when it occurs – whether that’s in the form of plummeting markets or tempting trends. Like a first-time skydiver, you cannot know how you’re going to feel and what you’re going to do about a free-fall until you’re in it. Behavioral finance informs us that, thanks to our most basic instincts, we’re subjected to a host of financially damaging biases – loss aversion, recency, herd mentality and many others – that lead us astray during these sorts of “fight or flight” market conditions. This is why you want to prepare for your investment leaps well in advance, preferably with an evidence-based adviser like Fischer Investment Strategies at your side to help you maintain your resolve. In our next piece, we’ll introduce our plain-sight strategy for managing challenging market risks and temptations, so you can be best equipped in your quest for long-term investment success.